PLEASE NOTE:This item is temporarily unavailable. Small brother of Bay Rafter 3.5 named Bay Rafter 2.5 allows installation of max. two 2.5" HDDs into 3.5" drive bays of a PC chassis. 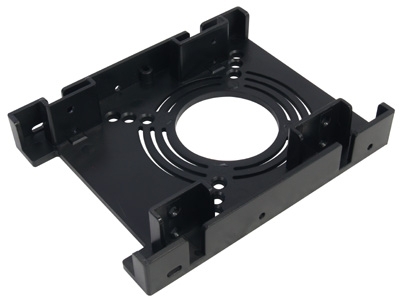 Optionally, one 80 mm, 70 mm or 60 mm fan can be installed, the user has the choice between high cooling performance or passive mode. 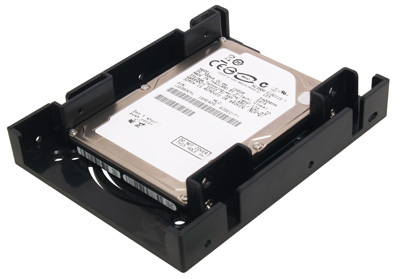 For 3.5" HDDs, Bay Rafter 3.5 is available. Scythe Bay Rafter 2.5 Rev.B with 2 disc drives installed. Scythe Bay Rafter 2.5 Rev.B with 1 disc drive installed. Scythe Bay Rafter 2.5 Rev.B showing fan mount side. With the Bay Rafter 3.5, max. 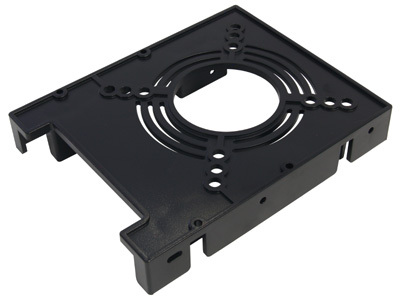 two 2.5" hard disk drives or SSDs can be mounted perfectly in the 3.5" drive bays of a PC chassis. The Bay Rafter 2.5 offers mounting options for all 3 common fan dimensions. 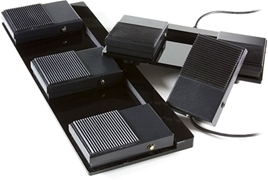 The user has the choice to mount one 80 mm, 70 mm or 60 mm fan. Weight 42 grams / 1.48 oz.